Home / ADULTS / Low Impact Group Ex. Getting a great workout doesn’t have to wreak havoc on your joints. We have classes designed for those who prefer or require lower intensity and lower impact, but still want to improve or maintain their fitness level. This class uses a combination of chair and standing exercises designed to improve muscular strength, flexibility and cardiovascular health by focusing on functional exercises that will help you continue your daily activities, maintain an independent lifestyle, and avoid injuries. Everyone is welcome, regardless of your fitness/mobility level – we can modify exercises to meet your needs. Working out in the water helps you get a great workout without the joint-jarring effects of exercising on land. 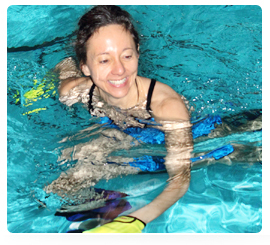 You’ll build muscle strength, cardiovascular endurance and flexibility in the heated pool. “Power Splash” is performed in the shallow water; and our “Deep Water” classes are held in the deep end with the aid of buoyancy equipment. Men and women of all fitness levels are encouraged to participate. This class is great class for those seeking a lower-impact or less intense Zumba class. Zumba Toning blends the style of a traditional Zumba class with the element of weight training with light dumbbells. View the group exercise schedule , to see when your favorite classes are being held. You can also view our instructor sub calendar to see whether a substitute is teaching your class.